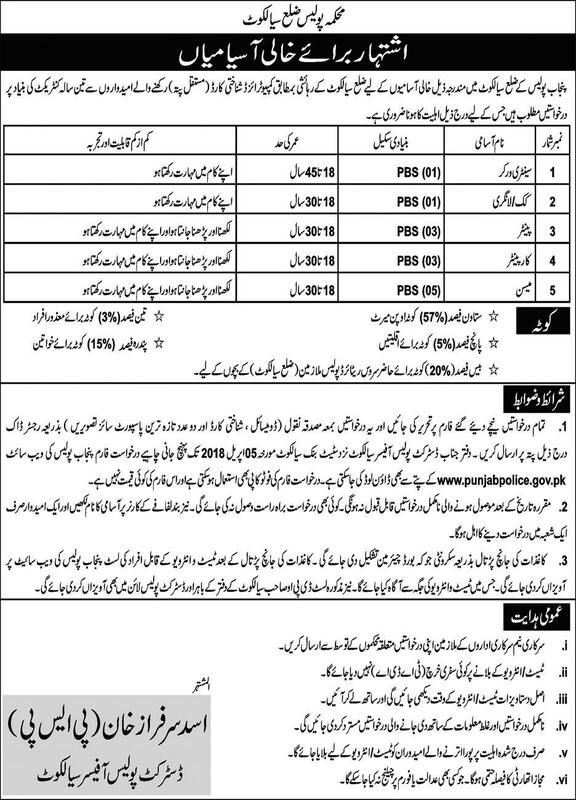 Punjab Police Department District Sialkot has announced New Jobs in Daily Express Newspaper 25/03/2018. Interested Candidates can apply for Punjab Police Jobs 2018 against the title of Sanitary Worker, Cook, Painter, Carpenter, and Masson. These Jobs are on Contract Basis initially for 03 year and Only District Sialkot Candidates are eligible to apply for these Jobs. Candidates Are Directed to Visit Punjab Police Department Website to Download Application Form. Listed of Short Listed Candidates will be displayed at respective website.